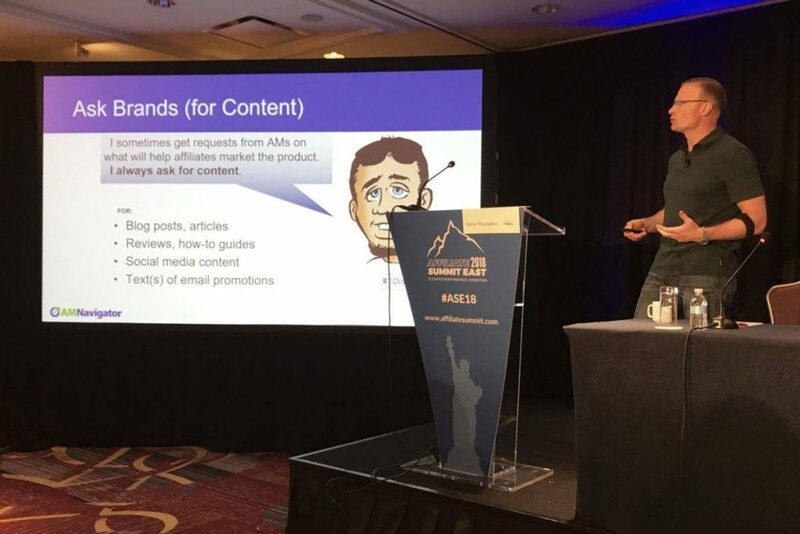 Earlier this year, I spoke at the legendary Affiliate Summit in New York City, NY. This was my nineteenth time speaking at this major affiliate marketing conference. My 30-minute speech was entitled “Evergreen Techniques to Rock at Affiliate Marketing” and it was devoted to a number of practical approaches to turbocharging affiliate marketing campaigns. Coincidentally, a summary of the same by a third party came out just earlier today. At the end of every session Affiliate Summit asks attendees to provide their feedback on the speaker and the content presented. Later on, they share these comments with the speakers – a great way to help us learn what we can do better next time we’re on this conference’s stage. As for my above-quoted speech, here is all of the feedback that I received (in the [unedited] words of the audience). Really appreciated that he shared his slide deck from the get go. Covered a wide variety of suggestions and evergreen techniques. Wish it was longer so we could get more in depth. Speaker had a lot of great info to share, wish he had a keynote spot. Very clear an specific examples. Session too short. So much great content here. Wish the speaker had more time to elaborate on each point. Very good. I hope you’ll have him back and give him more time. Lots of information – spoke incredibly fast. I found this very interesting from the affiliate manager side – helps to better understanding what affiliates need from us to be more successful. This one could have been an hour session. Good info. It’s tough to get in depth on 11 items with such short time. Good tips though, just wanted more details. Geno ALWAYS has actionable insights. I try to never miss his sessions at Affiliate Summits. Good speaker, content more for affiliate/publisher vs. merchant. Good info. We are a merchant, I felt this was geared much more for publishers. Good content, but 30 mins was too short for details on all 11 techniques. Less points and more details would be good for 30 mins, or more time for all 11 points. Good content, good delivery, on time! 30 minutes is too short for the top speakers. Too short and condensed. Would have been better to spread the session over an hour. Great content. Would love it be more in depth. I personally can’t help but love those “too short” comments. It’s always best to leave the audience (hungry for more) than feeling “stuffed”. Yes, an hour would’ve been better but more susceptible to a “cognitive backlog” though. If you need a speaker for your event, check out my speaker profile and testimonials here and here and email me if you’re interested in a truly memorable keynote speech for your event, a seminar (or training session), or anything else. Disclosure: If you click some of the links in this post, and convert into a customer, I may be compensated for this. Regardless, I only recommend products and services that I use personally and believe to be of value. Late on the evening of August 15 I published “Quick Start Guide to Affiliate Marketing” — my newest book, aimed at aspiring affiliates, and everyone interested in learning how to make money through affiliate programs. On August 17 it became the #1 “hot new release” in Amazon’s E-commerce book section [screenshot here]. The sales are still going strong, reviews rolling in, and if you haven’t yet picked up your copy, I am now selling the (originally $4.99) book only at $1.99. Order your copy here. 1. It came from info@sunetworks.com and sunetworks.com domain resolves to a one-page website which at the time of this post has one word: “Hello.” Also, the domain information is protected (read: all real contact info hidden) by Whois Privacy Protection Service, Inc.
2. When I search for “Top 100 Executives Magazine” I find another one-pager – top100executivemagazine.com – which hosts a form to harvest personal information. 3. CAPS and UNDERLINED CAPS isn’t normally a part of a serious “professional magazine” orthography. If you get an email like this, take a deep breath and breathe out. Relax. You haven’t been shortlisted for anything. Just steer clear of Benjamin Morrison’s email. I’ve been in marketing for so long that very few people remember (or even know) that, first and foremost, I’m a linguist and a translator. Having spent over 7 years of my life training for, and working in this area, I am particularly sensitive to translation and localization mistakes. And while many of them can be justified by complexities of grammar, the banner that I’ve spotted today was plain hopeless. What is even worse, all of the above are mistakes made by elementary school children. When you need a surgery, you go to a medical doctor, not to a plumber whose mother is a nurse and he knows a medical thing here and there (and may even have similar tools). Why, then, when it comes to marketing, would you even think of hiring anyone but a professional? When you are marketing, you are putting your brand (your most valuable asset!) on the frontline. Do you really want to have it associated with low quality? Entrust your marketing to experts! Unless, of course, you want your brand to be associated with dilettantism. I am a big soccer fan. My team is FC Zenit St Petersburg (Russia). It is a good team (holder of UEFA Cup and UEFA Super Cup 2008, Champions of Russian Premier League 2007, 2010, and 2011-2012), but it didn’t win the Russian championship in 2012-2013 (coming to the end just one point short), and now that they have instituted a joint tournament between the most popular soccer teams of Russian and Ukraine it has already lost two (of the first) games: 0:1 in the game against FC Shakhtar Donetsk, and 1:2 agaist FC Dynamo Kyiv. Tomorrow they are playing their third game in the tournament, but the team spirit is at an all-time high. Everyone at FC Zenit is optimistic, and ready to fight to the end. Knowing them I am also fully confident that their chances of finishing (this tournament) well are pretty high. Remember how Steve Jobs was raising back up from his failures? Remember what he achieved as a result? Failures and defeats should be treated as opportunities for learning and strengthening, not as excuses for whining or quitting. So don’t let any momentary failure get in the way of your longer-term success. Press on… Don’t lose passion (or optimism)… Overcome, persevere, and succeed! Earlier this year I had the privilege of judging the 2013 Performance Marketing Awards in the UK (for the third time in a row). The winners were announced in London a month ago [see the full list here]. This month I am judging for Rakuten LinkShare Golden Link Awards 2013 in the USA. This is my second time [see last year’s news here] serving on LinkShare’s judges panel, and I am truly honored to have been invited. The Golden Link Awards are going to be presented on Monday, June 17, 2013 in New York City. Did you know that there is a number of universities (including some of the world’s top schools) that offer free access to their courses? The Chinese translation of my book has been published just two weeks ago, and is now hitting bookshelves. 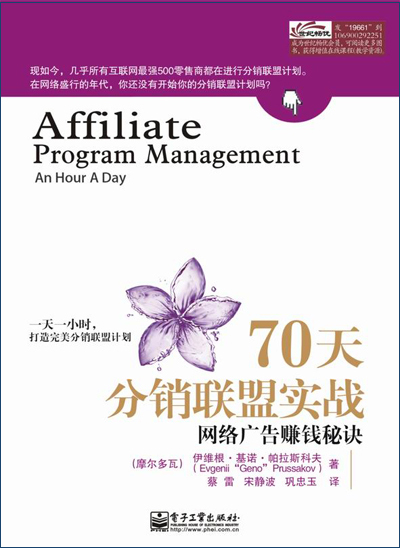 This is the first comprehensive affiliate marketing book in Chinese, and I am looking forward to flying to China for book launch activities (exact dates TBC). Today is a very special day for me. Due to your overwhelming support, my “Affiliate Program Management: An Hour a Day” tome has won a big award, winning the first place in the Classics category of 2013 Small Business Books Awards. I feel honored and altogether humbled to be acknowledged in this way. As far as I understand this is the first time an affiliate marketing book gets selected as a small business classic. Thank you for your support, everyone! It means the world to me!! In case you haven’t yet heard, later this Spring the book is coming out in Russian, and it is now also being translated into Chinese. If you are interested in acquiring translation rights for it, I’d love to hear from you. I am especially honored to see it being nominated in the Classics category. 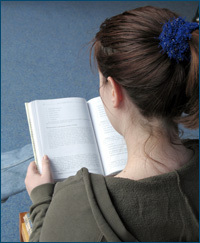 At the time of this writing, the book has 65 reviews on Amazon.com, averaging 5 stars. As I have mentioned in a recent interview to Affiliate Window, “Affiliate Management Hour” is now being translated into Russian and Chinese. Should you be interested in publishing it in other languages, do talk to me. I’d love to also see it in Spanish, Japanese, Portuguese, German, French, and a number of other languages [details here].